You might be attracting considerable traffic to your website, but how many people regularly return to read your content? You need to ensure your readers return to your blog if you want to continually engage your target audience. To do so, find out how to build a loyal readership. Many marketers fail to learn more about their target audience. Yet, this data could ultimately help to shape their content and, in turn, their online success. You, therefore, need to learn more about their interests, preferences, and dislikes, so you can develop content that caters to their needs. As a result, you can provide answers to their common problems, or comment on a topic that captures their interests. Consumers understand companies want to sell products to make money. Yet, they do not want to be given the hard sell. If you want to develop a loyal readership, you must focus on providing insightful, well-written content, which avoids a hard sell. Your sole aim should be to educate your readers, and they will be more likely to share the valuable information with their loved ones online, which can help you to grow your readership and increase brand awareness. If you provide your visitors with helpful knowledge and tips, they will be more likely to trust in your brand, explore your website, and make a purchase. People will not want to visit your website if it looks as if it was made in 1995 – or even 2005. If you want to encourage people to return to your site time and again, you need to focus on developing an attractive, easy to use website that people want to visit. Positively stand out online by turning to a reputable website development company. Linking to other websites can support your content and allow readers to learn more about a topic in a blog post. The more you link to other sites, the more helpful you will appear to your readers. Encourage trust in your content by linking to case studies, research papers and in-depth articles on high authority websites. If you want to build trust with your readers, you must strive to write with honesty in every blog post. It will make your website stand out from your rivals, and your blog posts will be more insightful and engaging. So, share opinions, offer genuine reviews and talk in an authentic, unique tone of voice that makes people want to click on your blog. If you want people to return to your website, you need to provide them with a reason to return. That’s why you should offer them something no other company can: your insider tips. Your blog post will provide an opportunity to present your readers with your industry knowledge, which can support their own lives. So, if you’re a business professional, offer advice on how to make it in the industry. If you’re a makeup artist, provide readers with professional beauty tips. This will not only encourage people to return to read your latest tips, but it will establish you as a leader in your industry. Always allow comments on your blog post, as this will allow your readers to communicate with you. That’s why you should ask your readers’ questions, so you can engage them in conversation. Asking questions not only provides a community of regular visitors on your website, but it will allow you to learn more about the people who choose to read your blog. As a result, you can understand more about the type of content they enjoy, so you can shape blogs to complement your loyal readers’ preferences. There might be times when a visitor will send an email to learn more about a product, service, or a blog post. If you want them to return to your site, you must endeavor to read every email and reply to their message as soon as possible. Remember, people have taken the time to write an email to you, so prove to them that their time and loyalty is important and send them a quick response. Keep a close eye on activity on your social media pages, as your followers may ask questions for you to answer. You should write a list of common questions you receive from your followers, and then write a blog post to share the questions and answers with other readers. It can increase engagement, share trade secrets and can encourage curiosity from your readers. Showing that you actively interact with your followers shows you value them. Readers will grow tired of the same type of articles on your website, which is why you must aim to vary your content on your blogs. Writing different types of content will also help you to attract different types of readers, too. For example, some people learn better through visual content, such as infographics, images, and diagrams, whilst others might respond better to verbal or aural content. Google values consistency. For instance, if you publish an article on your website every day for a week, but suddenly become busy and stop writing high-quality articles, you will experience a decrease in web traffic and, in turn, a drop in loyal readership. If you fail to blog consistently, a good idea would be to simply tell your regular readers that you are too busy to engage with them. 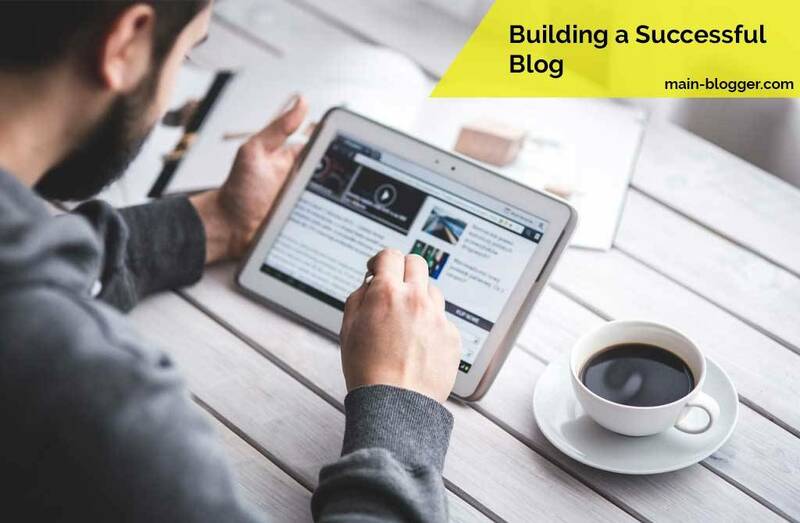 The more blog posts you publish, the more web traffic you will attract, and the more loyal readers you will gain. Once you have their loyalty, ensure they return by providing regular content that’s both informative and entertaining. The instant manner in which people access information does mean that ensuring content is relevant and consistent.